The post Wirex Reports Customer Base Expansion Reaches New Highs in 18 Months appeared first on CCN: Financial Bitcoin & Cryptocurrency News. The post NAC Foundation Supports House Resolution 835 appeared first on CCN: Financial Bitcoin & Cryptocurrency News. The post Call Public Blockchain Developers What They Are: Open Source Coders Not Fiduciaries appeared first on CCN: Financial Bitcoin & Cryptocurrency News. The post Survey: Male-Dominated Market; Bitcoin Users Lose Money to Hackers, Exchange Shutdowns appeared first on CCN: Financial Bitcoin & Cryptocurrency News. The post Smart Lawyers Will Make Smart Contracts appeared first on CCN: Financial Bitcoin & Cryptocurrency News. The post Nimirum – Ending Online Censorship with Blockchain Tech appeared first on CCN: Financial Bitcoin & Cryptocurrency News. The post Earn 3% Daily Profit with LARAWITH.ME Automatic Asset Management Platform on Telegram Messaging App appeared first on CCN: Financial Bitcoin & Cryptocurrency News. The post Poll Suggests That Blockchain Technology Will Impact EU Payments by 2025 appeared first on CCN: Financial Bitcoin & Cryptocurrency News. When it comes to Internet technologies, most of the value is distributed at the application layer rather than the protocol level. 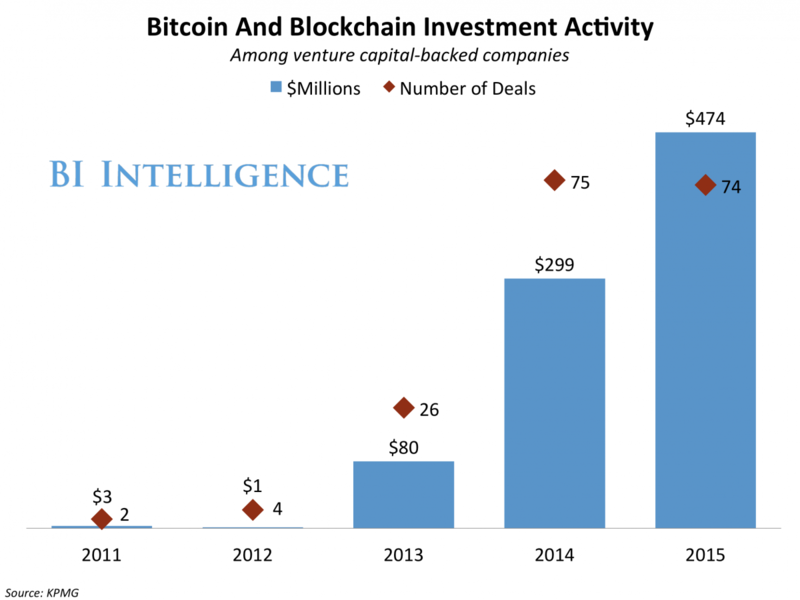 But for blockchain technology, it's exactly the opposite, according to a blog post from Union Square Ventures analyst Joel Monegro. The protocol layer is the underlying technology that makes a network run — it’s the rails and the governing rules. The application layer is made up of technologies that ride on those rails. For Internet technologies, many applications have become valuable by capturing data from users. Because this data is siloed, it's scarce and therefore, valuable. This is the model behind Google and Facebook, for example. And because the value is concentrated in the application layer, these companies will often invest in developing underlying protocols. In contrast, blockchain technologies rely on shared information. This means that the data itself isn't very valuable because everybody has it. As evidence, Monegro points out that the Bitcoin network has a market capitalization of $10 billion and Ethereum — which is early on in development at the application level — is valued at about $1 billion, while even the top blockchain-focused technologies at the application layer are worth $100 million at best. The value of blockchain technologies is rooted in the scarcity of tokens. The tokens — Bitcoins, for example — initially attract speculative value because they are scarce, and those who invest become stakeholders in the protocol itself. As demand grows, these tokens appreciate in value and that encourages investment in technology at the application layer. As value at the application layer grows, it creates even more demand for the tokens at the protocol level. In this way, the value of the protocol layer will always be greater than that of the application layer. That's because blockchain, which operates as a distributed ledger, has the ability to allow multiple parties to transfer and store sensitive information in a space that’s secure, permanent, anonymous, and easily accessible. That could simplify paper-heavy, expensive, or logistically complicated financial systems, like remittances and cross-border transfer, shareholder management and ownership exchange, and securities trading, to name a few. And outside of finance, governments and the music industry are investigating the technology’s potential to simplify record-keeping. The choice is yours. But however you decide to acquire this report, you’ve given yourself a powerful advantage in your understanding of blockchain technology.